Hilarious…that’s the guy whose mugshot went viral because he looks just like Beavis. 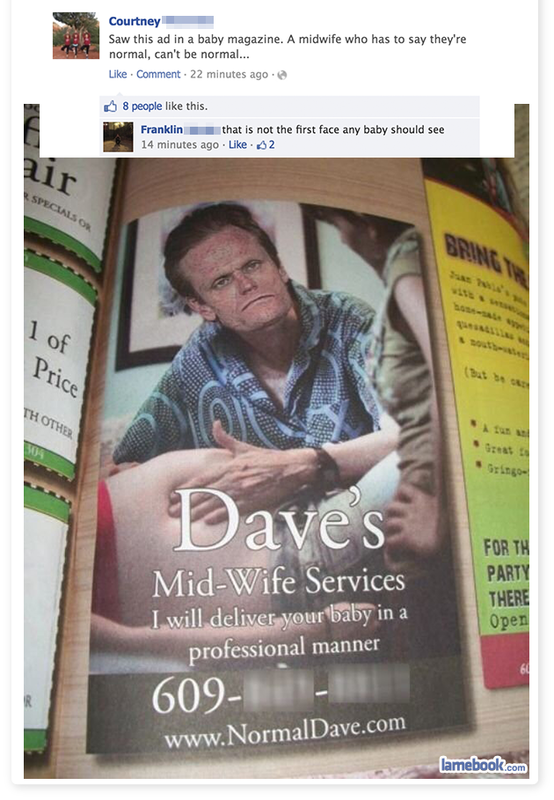 They photoshopped it onto a midwife and made a (fake) site out of it. That’s one of the guys that’s on those ‘faces of meth’ pages. Its’a mugshot. Who the hell knows why someone would make up such an ad and I don’t want to even imagine what you do get if you call.